Known internationally and loved locally, CHOR LEONI MEN’S CHOIR is recognized as one of the vanguard male vocal ensembles in North America. 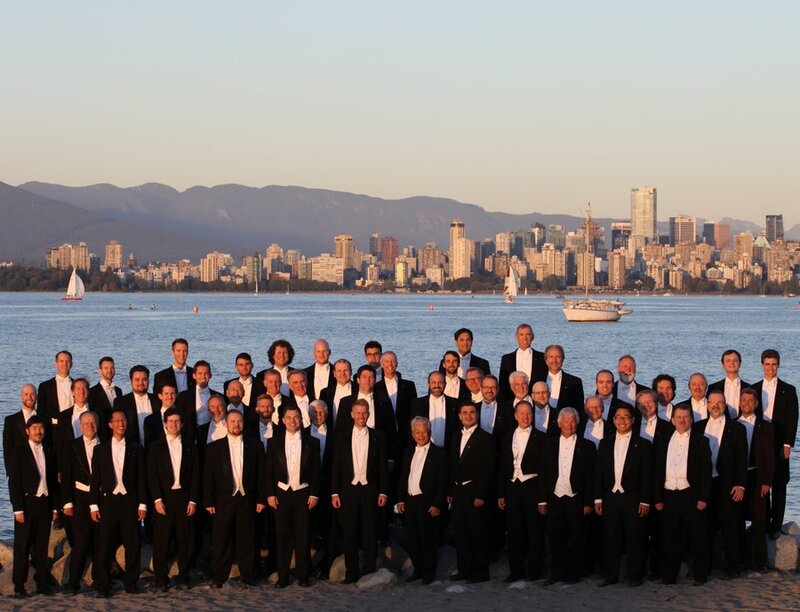 With stylistic grace and an adventurous spirit, Vancouver’s Singing Lions have enriched and transformed people’s lives through singing for over twenty years. Chor Leoni performs in many languages and styles and genres, always aiming to communicate, engage, and entertain. The ensemble has been honoured with many awards at the national and international level including five 1st place awards in the CBC National Radio Competition for Amateur Choirs. In July 2012, Chor Leoni won a dozen awards at the 51st Concorso Internazionale di Canto Corale “Seghizzi” (Italy), including 1st place trophies in the 19th and 20th Century categories, two Audience Favourite awards, and second place in the competition’s overall Grand Prix. 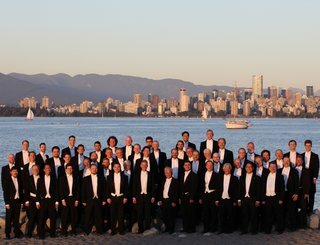 Chor Leoni prides itself on its musical ambassadorship for Vancouver and Canada and has performed at major music festivals and concert venues across Canada and the United States. Internationally, the choir has shared its music in Italy, Croatia, Bosnia, Germany, and the Czech Republic. Chor Leoni has been a champion of new music and has commissioned hundreds of pieces for male choir, ranging from pop and folksong arrangements to modern works. The ensemble has commissioned works by notable composers such as Ēriks Ešenvalds, Robert Sund, Stephen Chatman, Bruce Sled, Malcolm Forsyth, Jocelyn Morlock, R. Murray Schafer, Bob Chilcott, Steven Smith, and Peter Togni among others. Believing in the transformative power of male singing, Chor Leoni annually engages young male singers in two successful education programs. PROMYS (PROgram for Mentoring Young Singers) invites some of the most talented male singers from the Lower Mainland to join with Chor Leoni in rehearsals and performances and MYVoice (Mobilizing Young men’s Voices) provides an opportunity for teenage boys to come together in all-male choirs to find their changed voices, develop their confidence, and nurture their interest and commitment to music and culture. Chor Leoni was founded in 1992 by Diane Loomer C.M.